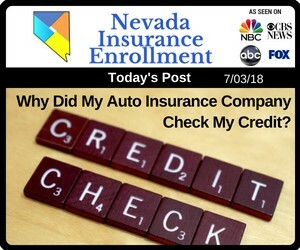 Why Did My Auto Insurance Company Check My Credit? A poor credit history may affect more than one's ability to get a credit card or car loan; it can also impact a policyholder's monthly premium on their car insurance. Insurers evaluate a range of factors that help determine the degree of risk, or the likelihood to file an auto insurance claim, that an applicant poses. Among the most significant influences on a driver's monthly premium is their credit history. Studies have shown that drivers with good credit scores pay between $68 and $526 more annually than drivers who have excellent credit scores, even when all other factors are identical. In some cases, a policyholder may be able to get a credit score exception. A licensed auto insurance agent can help determine whether a driver is eligible for this exception. Auto insurance companies use complex algorithms when calculating a policyholder's monthly premium. Some of these factors clearly pertain to an insured's riskiness and others seem unrelated. Common factors that are calculated include an insured's driving record, the make, model, and age of their vehicle, the driver's education level, and their marital status. In addition to these factors, insurers also consider a policyholder's credit history. While a FICO credit score is based on approximately 130 factors, an auto insurance provider uses only about 30 of those factors when calculating a policyholder's unique score. For this reason, the FICO score does not provide an accurate depiction of how one's credit history will impact their monthly premium. There are credit score factors that an insurer cannot take into consideration when calculating the cost of an individual driver's insurance, including the driver's age and occupation. However, outside of this, the factors that influence the calculation are unknown. While drivers may not know what factors are negatively influencing their auto insurance premiums, they can improve their credit-based auto insurance score in the same way that they can improve their FICO score over time. Paying bills on time, reporting any errors on the credit reports, settling outstanding debts or judgements, and maintaining a low debt-to-credit ratio will all positively impact a credit score. There are some instances in which a driver may qualify for a credit score exception, which would prevent their insurer from using the driver's credit information. In Las Vegas, Nevada, drivers who have experienced extraordinary life events that can be shown to have negatively impacted their credit score may qualify for this exception. 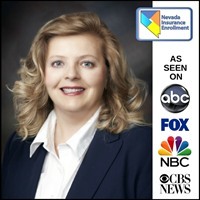 Extraordinary life events include catastrophic events, a death in the family, military deployment overseas, or identity theft. The state law requires that the driver applying for the exception provide written and verifiable documentation that outlines the event that occurred and how it directly impacted the driver's credit score. Drivers that may qualify for the credit score exception should speak with a licensed auto insurance agent. Even if they do not qualify for the exception, a licensed agent can help them identify other ways to reduce the cost of their auto insurance coverage.